Imagine you have a great idea, service or product that you want to bring to market but don’t know where to start. What if there was a single destination that could help you assess the current and future value of your endeavor, line up the necessary investment to turn your concept into reality and get you in touch with the necessary resources and talent needed to get you off the ground. Current ICO’s (Initial Coin Offerings) and crowd funding options can be complicated and risky, ultimately offering little if no tangible results. PicoStocks is an innovative platform based on blockchain technology that solves some of the stickiest problems facing entrepreneurs & startups today. From assessing your startup’s value to getting seed funding and even finding the qualified talent to develop your idea — PicoStocks is your one-stop-shop to get you up and running faster than current options. One of the biggest challenges facing entrepreneurs is how to assess the value, or potential value of their idea or company. First, Picostocks offers easy-to-use tools to help precisely evaluate your next big idea, and the capital that it will take to move forward. Knowing your worth and what it will actually take to initially fund your project is valuable knowledge that potential investors appreciate more than anything. Simply put, being feasible and reasonable about your company’s financial requirements is priceless. Second. Getting the word out about your idea is one thing, getting people to actually invest real money in you is hard and time consuming work. Some founders spend countless hours trying to get their foot in the door, only to be left in the waiting room! When that magic moment does finally come and you’re face to face with a promising VC partner, your only take-away is usually a vanilla response that says, ‘thanks for your time, but we’re not interested’. PicoStocks can accelerate this process and provide access to essential seed financing that will help you focus on the most important aspects of your new service or product rather than worrying about who to call next. Finally, PicoStocks offers you access to the resources and talent that you’ll need to take your idea to the next level. Drawing on the networks and experience of specialists from a variety of disciplines — scientific, technical & financial — PicoStocks provides you with the right fit and can save you a bundle of time. Good ideas are as clear as a bell! 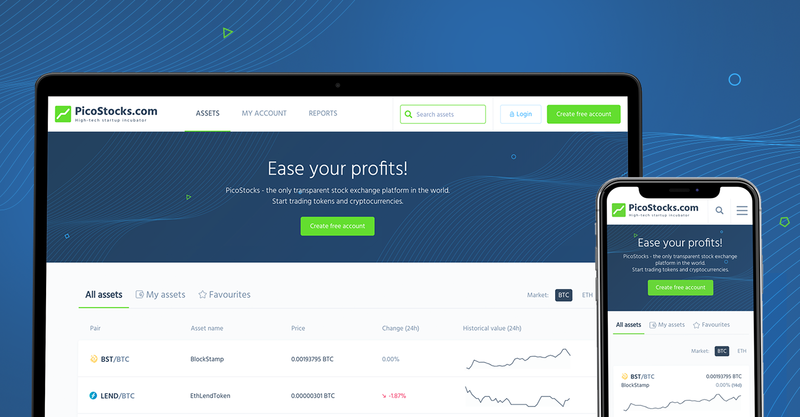 PicoStocks is an innovative exchange platform that differs from other crowd funding approaches by allowing users to invest in the profits from shares similar to popular global equity markets that are familiar to all of us. 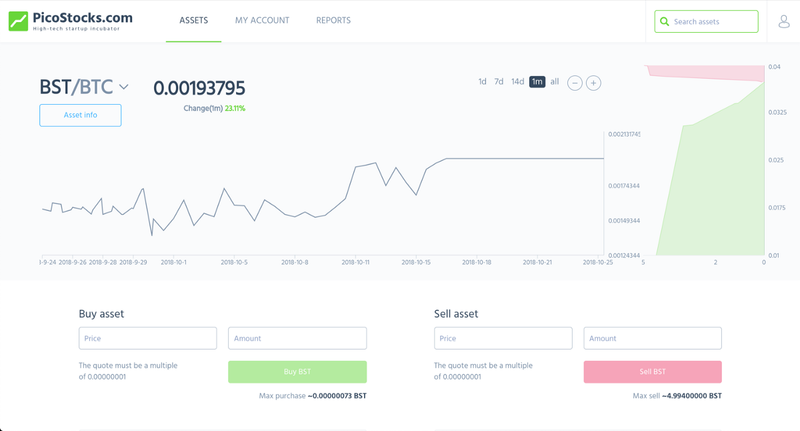 In addition, PicoStocks is built on blockchain technology which provides unprecedented transparency and the highest level of security. 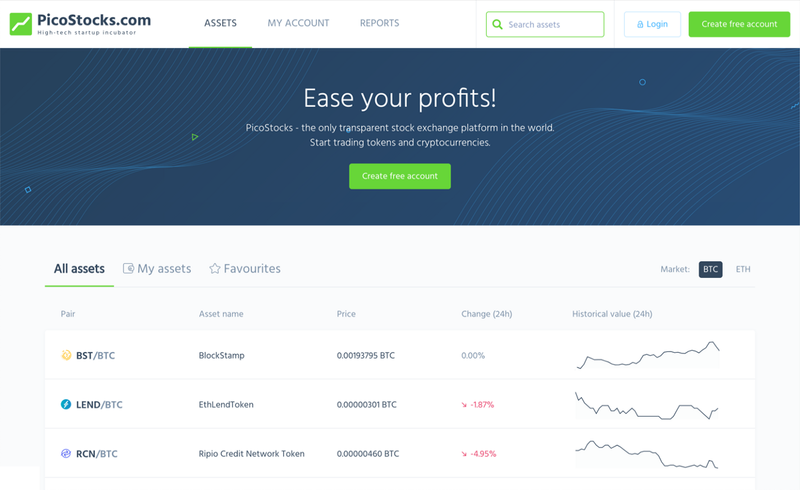 This allows everyone using PicoStocks to monitor the market position of any offering and the activity of any PicoStock user. With blockchain anonymity, absolute fair values are available for any PicoStock asset. If you currently find the world of ICO’s confusing and, well — cryptic, let us de-mystify it for you. Though PicoStocks is based on blockchain technology, your idea or project doesn’t need to be. Let us do the high-tech heavy lifting. We’re simply providing a better way for you to turn your entrepreneurial dreams into reality. So what are you waiting for? Contact Picostocks.com and we’ll personally answer any listing, buying or selling questions that you may have.